When I started to write this article, I originally titled it “Culture Is Not a Four-Letter Word.” It was intended to address the CEOs who think culture is a squishy, beer-for-lunch, feel-good concept that doesn’t deserve a place at the grown-ups’ table. I wanted to demonstrate how wrong that thinking is and make a case for the power of culture and why it should be at the top of every CEO’s list. I was prepared to make a compelling case to convince CEOs that culture is every bit as important as strategic planning. I was ready to cite all kinds of studies and dazzling statistics that prove that positive cultures create positive financial performance. But now I don’t have to, thanks to another four-letter word: Uber. 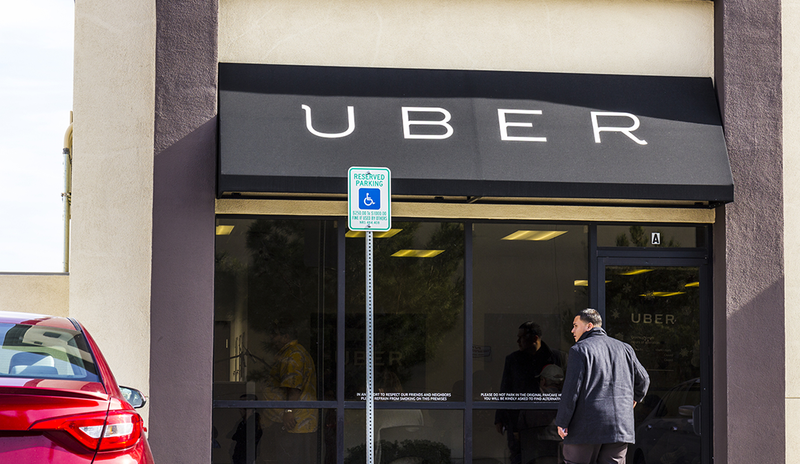 Uber’s toxic culture has been front and center this week in the news. According to recent reports, Uber has engaged in everything from sexual harassment to stealing driverless technology from Google. Even some of its own investors claim the company fosters a toxic culture. You see, culture can be a four-letter word if it is ignored. Culture can be a four-letter word if it is toxic. Toxic cultures kill more businesses than recessions do – and a toxic culture is liable to kill Uber, too. So what went wrong with Uber? How could a company that claims its values are “making communities safer” and “standing up for its driver community” end up like this? Well, part of the problem is what I call “bumper sticker values,” like the Uber values I quoted above. “Bumper sticker values” are values that look good in an annual report but have no real meaning inside the company. Wells Fargo is a perfect example of this. Two of Wells Fargo’s key values are “ethics” and “what’s right for customers.” And yet, the company defrauded its customers by creating more than 2 million ghost accounts. There is often a difference between the bumper sticker slogans and the real values that lie beneath. Value statements are always warm and fuzzy, but a company’s real values manifest in how people act, not in how they claim to act. At the end of the day, a company culture is nothing more than a collection of values, and values dictate how employees will behave. Such was the case with Wells Fargo. Such is the case with Uber. If it is to be taken seriously, it has to come right from the top. People need to know that values matter. Have an outside professional survey company conduct an anonymous survey and ask every single employee in complete confidence what they think the company values are. You may be astounded by the results. What is driving the difference? Chances are you’ll find operating managers are the root cause. Or you might be the root cause. As an example, many operating managers don’t give a hoot about anything other than results. Of course results matter. No company can prosper without positive results. But results without appropriate values are often temporary, or in the case of Wells Fargo, only illusory. Does your company have the right values? By that I mean values that serve your employees, customers, community, and shareholders equally – values that form what I call a “culture by design, not default.” If your company does not have the right values, it’s time to change them. Let’s assume you have the right values. (You may, but I doubt it). Start at the top and go layer by layer. Those who don’t believe in, won’t abide by, or don’t demonstrate the values have to go. This sounds simple, but it is not easy. Still, it is essential. If your top managers ignore the values, everyone else will, too. This is a multi-year process that you must undertake carefully and delicately. Otherwise, the business will crash and burn. Take it one step at a time, one manager at a time. Once you start replacing managers for values reasons, the whole organization will begin to behave differently. People will applaud you for taking action. Interview potential employees with values in mind. Don’t just state the values and ask if they agree. Of course they will agree – they want the job. Ask them what their values are. Ask them what values they would admire in a company. If their values don’t match with company values, don’t hire them, no matter how good they are. Otherwise, they will be like an infectious disease in the organization. The bottom line is you must make values a key part of performance evaluation. Don’t make this a check-off-the-box exercise. 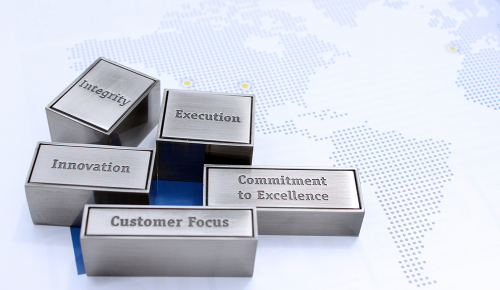 Make values the standard for promotions and compensation increases. Make values a key determinate in terminations, too. By instilling the right set of values in your organization, you’ll save your company from becoming a four-letter word, too. Steven L. Blue is the president and CEO of Miller Ingenuity, an innovative company revolutionizing traditional safety solutions for railway workers, and author of the new book, American Manufacturing 2.0: What Went Wrong and How to Make It Right. Connect with Blue on Twitter: @SteveBlueCEO. Steven L. Blue is the president and CEO of Miller Ingenuity, an innovative company revolutionizing traditional safety solutions for railway workers, and author of the new book, "American Manufacturing 2.0: What Went Wrong and How to Make It Right." For more information, please visit www.SteveBlueCEO.com, www.milleringenuity.com, and connect with Blue on Twitter, @SteveBlueCEO.